Over the years we've got to know our customers well, we know they love their dogs and we know they love fashion and style, so we combined the two and developed the B.one, Partners in Beauty range of shampoos. 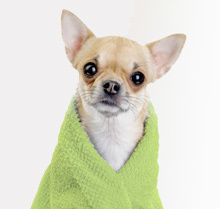 Safe, gentle cleansing and pH balanced just for your dog's skin. 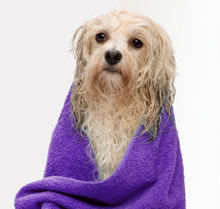 We use only mild ingredients and concentrations in our shampoos, which have been specifically formulated to ensure a clean, happy dog. 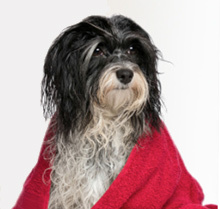 Every shampoo in our luxury range contains at least one conditioner to moisturise the skin, smooth the cuticle and nourish your dog's coat; from root to tip. We guarantee that no animal testing is conducted for finished products or ingredients in any phase of product development by B.one, its laboratories or suppliers. My pup and I just love the B.one shampoos. Our favourite is 'complete cutie'. It has a delicious lingering smell and lathers up just perfectly. 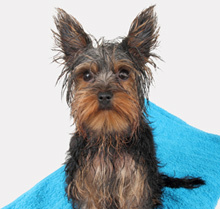 Our doggy bath time is plenty of fun now! Thank you. Our mission is to bring a touch of luxury and style to bath time. 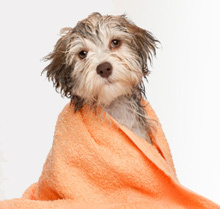 We offer fine fragrance shampoos and conditioners which have been specially formulated to ensure every dog looks and smells as good as their owner. 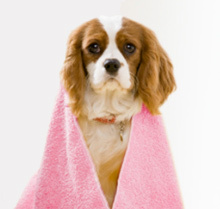 It's simple - we love a clean, happy dog that smells beautiful. You and your dog, Partners in Beauty.